Preview your sports package options below. When you have made your selection, hit the blue button and enter your school code to finalize and submit your order. ​Your student must bring a copy of your confirmation email with them on picture day. 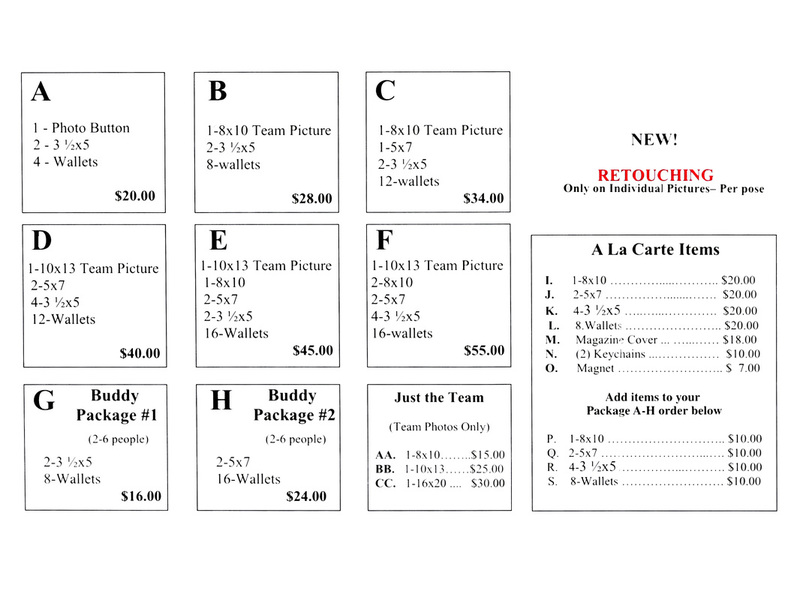 Orders must be placed by 8:00 am the morning of your scheduled picture date. Late orders will be charged an additional $5.00 handling fee when the order is processed.